Julien holds a Bachelor of Social Sciences degree from the University of Ottawa, with Special Joint Honors in History and Political Science co-op (B.Soc.Sc.) and has completed his French Common Law degree (J.D.) in 2015. 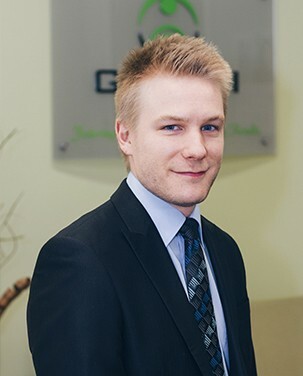 Prior to joining Gerami Law PC, Julien gained valuable experience in immigration law while working as a Registry Assistant in the Immigration Section at the Federal Court and as a Junior Program Officer in the National Security Screening Division of the Canada Border Services Agency (CBSA). During his legal studies, Julien worked as a legal intern on maritime law matters with the Department of Justice, and on matters related to copyright, privacy, and electronic surveillance with the Samuelson-Glushko Canadian Internet Policy and Public Interest Clinic (CIPPIC). In addition to being interested in practising criminal and immigration law, Julien has areas of interest in privacy, surveillance and national security studies. Along with his J.D. degree, he obtained recognition (J.D. specialization) in law and technology. He was member of the Law and Technology Student Society (LTSS) for the University of Ottawa and was a former Research Assistant and Event Coordinator for the Office of the Privacy Commissioner of Canada (OPC). In 2013, Julien published an article with an OPC colleague in the Canadian Journal of Law and Technology, where he analyzed all the Annual Reports on the Use of Electronic Surveillance from Public Safety Canada and explored the trends which can be extrapolated over time in order to provide insights into why the use of electronic surveillance by federal law enforcement agencies is declining. In his spare time, Julien enjoys fitness training, watching movies, and travelling. He is fluently bilingual in French and English.